For all the high intensity competition that the English Premier League traditionally boasts, the 2014-15 season turned out to be a massive disappointment. The season will be remembered for the lack of competition at the top as the mighty Chelsea remained unchallenged for number one spot. But on the brighter side, things were quite interesting at the other side of the table. The season will equally be remembered for the passionate fight the teams at the bottom of the table put up to stay in the elite league. The fairy tale revival of Leicester City, the dramatic late escape of Sunderland for their second season running and the Newcastle United-Hull City relegation battle have all been highlights of a season plagued by the mediocrity of the conventional giants. For a neutral spectator, the league was all about that 17th spot. It was a survival race that went on till the final day. 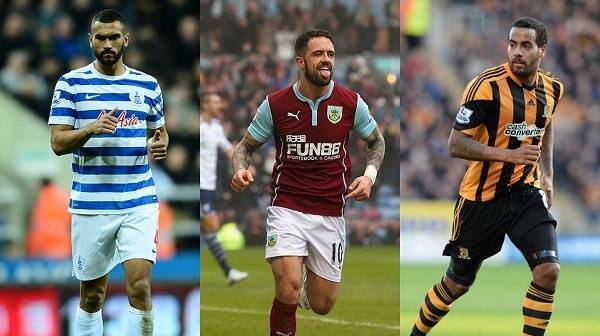 Let us take a look at those outstanding players who make it into the relegated XI of English Premier League 2014/15. The Burnley keeper was once hailed as one of the best prospects to come out of the Manchester United academy. Unsatisfied by a mere specator role at Old Trafford, Heaton decided on a move to Cardiff City. In 2013, he moved to Burnley and was pivotal in their surprise promotion to the Premier League. Lack of genuine quality in the side made it impossible for Sean Dyche's men to survive in the Premier League. 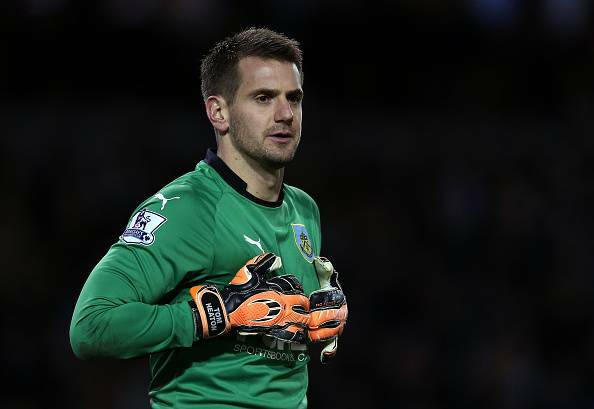 However, Heaton was a stand-out performer for the Clarets. He registered 10 clean sheets this season which is a remarkable achievement for the goalkeeper of a relegated team. Having played at all youth levels, his good performances this season have earned him a call up to Roy Hodgson’s England squad for the upcoming friendly and Euro qualifiers. Trippier has been a consistent performer ever since he joined Burnley in 2011. 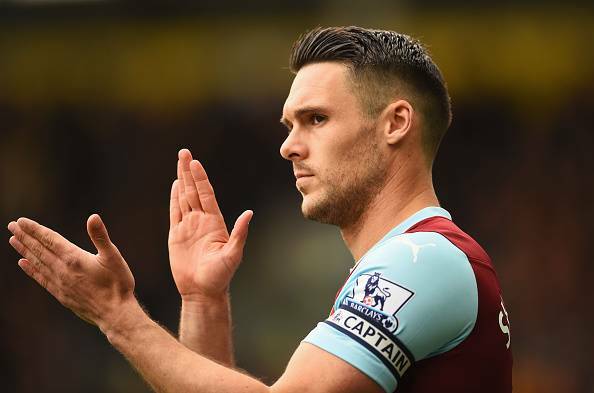 In 2011-12 he was elected the Burnley player of the year. In the successive two seasons, Trippier was part of the Championship team of the season. 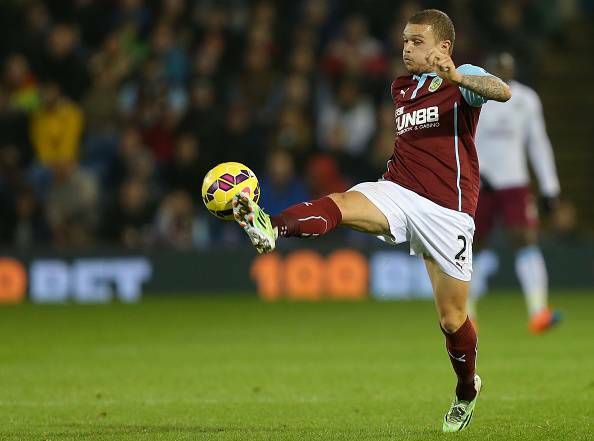 The Burnley fan favourite likes to get forward and is an excellent crosser of the ball. He registered 4 assists and created 63 chances which is highly impressive when we compare it to the 5 assists and 36 chances by his Chelsea counterpart Branislav Ivanovic. However, he tends to lose ball quite often which is an area he needs to improve. Though his renewed contract runs till 2017, he has a release clause of just £3.5m. The 24-year old is being scouted by the likes of Tottenham Hotspur. With right guidance, Trippier can raise his standards and be an outstanding fullback. A player dropped from the Celtic academy for being too small for the game, Andrew Robertson worked hard to achieve his dream of being a professional footballer. After scintillating performances for Dundee United, a move to the Premier League materialised. 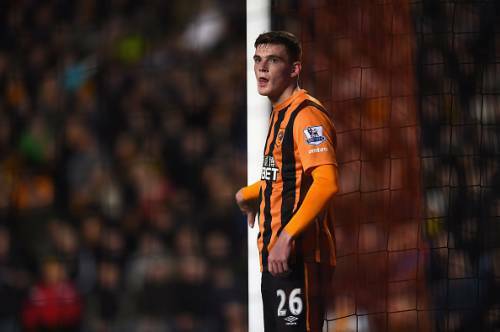 He is now the first choice left back for Scotland and Hull City. Despite being in a defensive position, he has a flair for creative an attacking play. With Tigers manager Steve Bruce admitting that big clubs have been monitoring Robertson, it won't be long before the player takes the next step in his career and moves on to bigger challenges. A former Tottenham Hotspur academy product, Caulker is your typical no-nonsense defender. He grabbed attention after a succesful loan spell at Yeovil Town for which he was voted into the 'Team of the Decade' by the fans. In 2013 when the then newly promoted Cardiff City signed Caulker for £8m, it was a club record. However, he has now suffered back to back relegations with Cardiff City and his current club QPR. 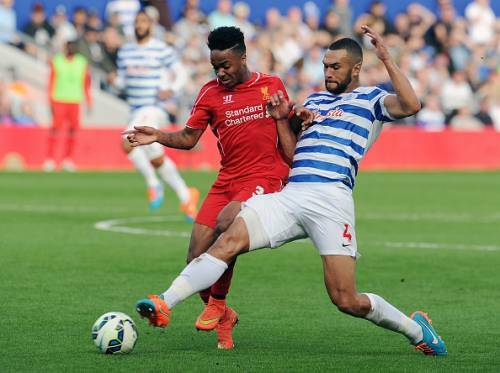 Nevertheless, Caulker has shown promising talent in 2014-15 season. As far as aerial ability and positional awareness is concerned, he's one of the finest in the league. Caulker averaged 10.43 clearances per game which is highly impressive. Caulker is still an uncut diamond who needs massive attention. It is a disappointment that he has had to play for 6 clubs already. But it is certain that QPR will lose several star names this summer and Caulker is expected to be one. Arguably the best defender from the bottom half of the EPL table, the Burnley skipper Jason Shackell is the most eligible to be the captain of our relegated XI. Shackell is the kind of player who can organise a defence from the back and lead the team from the front. Statistically, as per Squawka's rankings on defensive actions, he is the number one defender in the entire league. He averages 11.71 clearances and 1.37 blocks per game both of which are the highest figures in the league. Add to it the general observation that Shackell's aerial prowess is second to none. As the summer transfer window approaches, he will definitely be one player Sean Dyche hopes to retain for next season.